A circular cloisonné box supported on a short straight foot. The domed cover is decorated in coloured enamels on a turquoise ground with four chi dragons roaming above lotus flowers and with paired key-fret patterns ending in dragon’s heads. The sides of the box are similarly decorated with lotus flowers interspersed with key-fret patterns, but here in a mirrored arrangement. The recessed base is adorned with flowers interlinked with scrolling stems. The interior is covered in turquoise enamel. The rims and the foot of the box are covered in a thick layer of gilding. Cloisonné enamel objects were intended primarily for the furnishing of temples and palaces, where their brightly coloured splendour was considered appropriate for the surroundings. 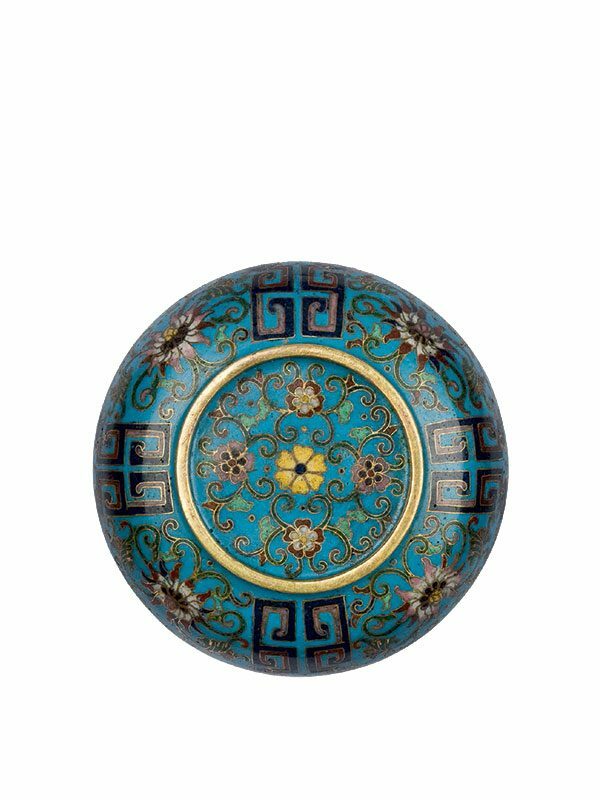 By the mid-Qing dynasty Chinese craftsmen fully exploited the cloisonné technique to create vibrantly coloured wares. 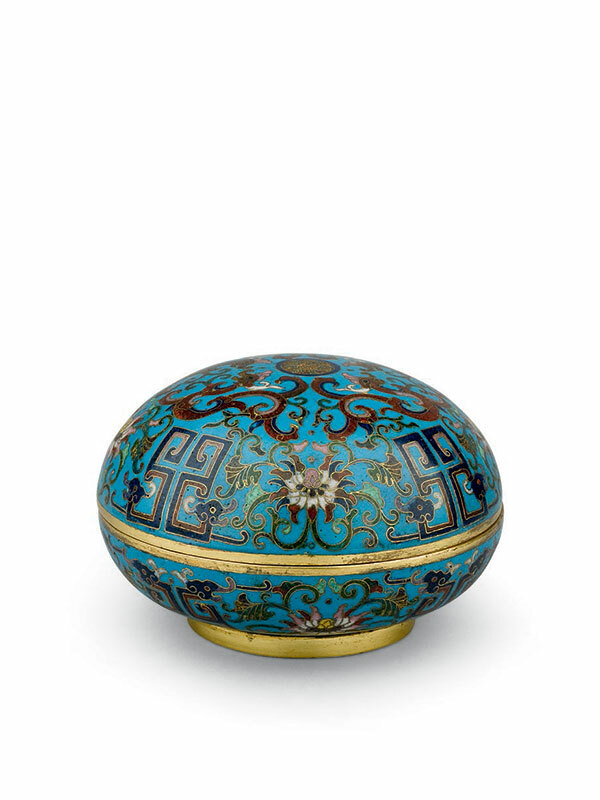 Circular cloisonné enamel boxes of this size are commonly used as incense powder boxes, as part of the ‘Three Friends of Incense’ – the incense tool vase, incense burner and incense powder box. A comparable cloisonné enamel box of circular form and decorated with lotus flowers and scrolling stems, forming part of an incense utensil set, is in the collection of the Palace Museum, Beijing.